Is Church a Haven for Saints or a Hospital for the Sick? But most churches focus on the righteous, the people who appear to have their act together. These churches don’t care about sinners, not really. Yes, they say they do, but who do they invite to church? It’s usually other Christians, not non-Christians. Church folks are uncomfortable hanging out with the non-churched. So-called sinners make them uneasy. Instead, we Christians spend time with people like us, not the people who need Jesus the most. For most people, the longer we’ve been a Christian, the fewer non-Christian friends we have. Shouldn’t we and our churches do the same? Shouldn’t we focus on encouraging people who need Jesus to follow him? 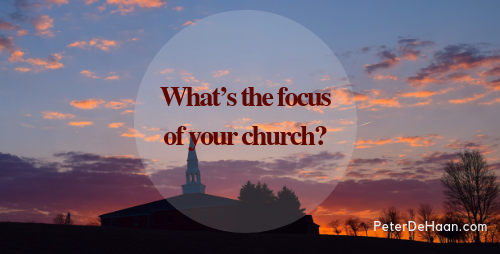 Instead we’ve turned our churches into a comfortable club where we sequester ourselves from the world and spend time with each other—ignoring the people who need Jesus. When we make church a haven for saints, we have a selfish perspective. We hold an internal focus. However, when we view church as a hospital for the sick, we have a selfless perspective. We hold an external focus. We need to put others ahead of ourselves (Philippians 2:3)—especially those who need Jesus.